Seventeen-year-old Gertrude Morgan, the only child of one of the wealthiest couples in America, is shipped away from her home in New York City to the American school in Athens against her will. Her parents just want to get rid of her, and she knows it. Although she has no friends (her private schoolmates all seem fake), she sees no point in making any new ones on her trip, since she'll only be visiting for one school year. Despite her efforts to remain aloof and in the world of her books, she falls in love with her boisterous and affectionate host family, as they do her. 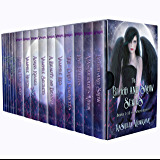 The Blood and Snow Series: Books 1-10 + 6 Short Stories: Urban Reimagined Fairy Tales With Vampires, Witches, Dragons, Fairies, Werewolves, and More! 4.0 out of 5 starsGood story. Bad ending. If you've read my other reviews, you know that four stars is not a great review. In fact, this is a highly critical review. However, I'll start with the good. The story is well-devised. The protagonists are, for the most part, teenagers, and their romance crises are kind of cute. The cliffhanger part is that the main protagonist, Gertie, is toying around with things that are addictive. Will she become an addict? Will she become worse? I won't be giving anything away by saying that there's a lot about vampires in this book. Ms. Pohler has her own ideas about vampires, and they're pretty interesting. Ms. Pohler is a good writer and a good storyteller too. Now, the bad: Don't read this book unless you've already bought the other two books in the series. Ms. Pohler throws you overboard, and the only life preserver she's willing to throw you is book two. I don't like these kinds of trilogies. I like it when things are concluded except for perhaps a few loose ends. It's those few loose ends that the reader might opt into the next book to tie up. Or in this case, the reader might be enticed into book two because book one was so engaging. For my part, I'm going to leave Gertie in a mess. I've climbed back into the boat. Gertie is still overboard at the end of book one, having been thrown there by her author. I could opt into book two, hoping she finds rescue, and after that, I'd probably have to opt into book three to see if she survives. I'm not going to. I'm going to ride the boat back to shore, and I'm going to leave Gertie out there in the ocean. I'm sorry, Gertie. Good luck to you. This had a promising beginning, but as soon as the protagonist met the two boys, it turned into a draft of a trite high school girl's fantasy romance. Both boys are blindingly handsome and both are madly in love with the 'heroine'.... 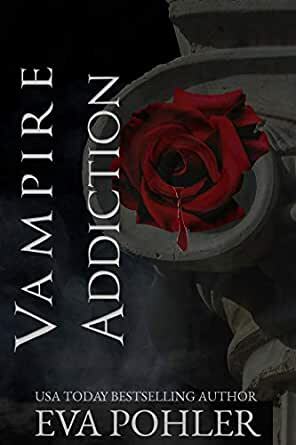 The IDEA of an underground vampire society and Greek Gods was interesting, but there's too much crammed in leaving zero room for real character development and too many clichés. I couldn't finish it. Possibly junior high readers would like it; but it's not for adults. Though this book reminded me of another very popular vampire book series it was very much its own story. I like how Eva intertwined Greek mythology with the legend of vampires. I really felt the writer did a great job letting us get to know the lead character in the story, Gertie. By getting to know Gertie you understand why she makes the choices she does. There is also a really dark undertone to one of the male leads. Along with great characters, there is a great story the flows and twists in places you don't expect. The writing really flowed along and the story was interesting. All in all a really good read. However, I am a little bummed about the ending. Only because it left me with a cliffhanger and I am unable to find the second installment of this wonderful story and I really need to see how it plays out. I really wanted to like this. I love Greek mythology and vampire stories. It read like someone's first try at writing. No reason for the main character's decisions. Love at first sight, but no magical reason given for it. Lots of telling us but not showing us. No depth. The main character came across as a rude and ungrateful idiot. I forced myself to finish the book. 2.0 out of 5 starsWelp. - Fast read, easy read. - A good time without needing a lot of brain power. - Decent ending, not what I expected. - Some of the descriptions were beautiful, elegant. - Interesting incorporation of Greek mythology into a vampire narrative. This was easily the strongest aspect of this story. Props deserved for this. - Vapid, unrelatable main character who barely has enough wit about her to get dressed in the morning. And let’s not broach the “tragedy” of her affluent upbringing. Her most realistic human urge is her curiosity about vampirism. - Excessive manufactured emotions. Maybe I’m just dead inside, but I never resonated with Gertie’s plight. Most of her drama surrounded things that a microliter of common sense would solve. And her relationships never felt real, not even with the love interests. It all felt pushy, empty. - There were quite a few typos, literary mistakes, and confusion about what exactly warm and cool colors are. - Toxic relationships being paraded as romantic. I can easily say that I will not be reading the remainder of the series, nor would I recommend this to anyone. I gave it two stars instead of one because books are really hard to write and even the rough ones need mercy.